Jaundice in infants can be identified by a yellowing of the skin and the sclera of a newborn’s eyes. While this condition is not usually serious, it should be evaluated by a doctor. Jaundice in infants is a condition that’s characterized by a change of color in the skin and the sclera (the whites of the eyes), which begin to look yellowish. This develops when there is an excess of bilirubin in the bloodstream. Bilirubin is a yellow pigment that results from the normal breakdown of red blood cells. This substance usually passes through the liver and is released into the intestine as bile. While jaundice is not considered to be a disease, it should serve as a warning sign because it could indicate an un-diagnosed condition. 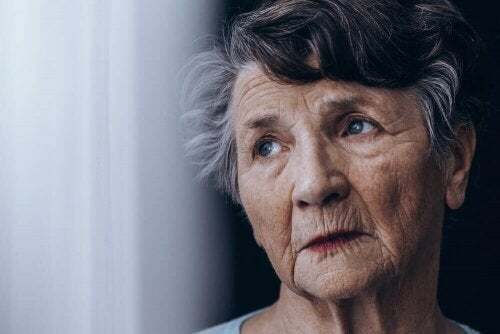 Most of the time, however, it’s temporary and harmless and responds well to non-invasive treatments. Why does jaundice occur in infants? How can you identify it? 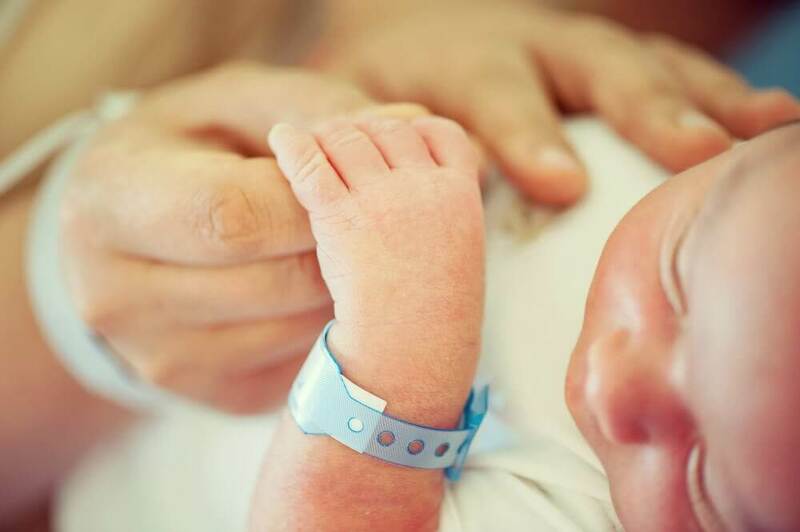 As parents, it’s important to answer these questions.Today, we want to review the causes, symptoms, and therapies that are available for treating jaundice in infants. It’s normal for babies to have high bilirubin levels after birth. In fact, most newborns have a yellowish color to their skin. This condition occurs in 80% of babies who are premature and in 60% of those who are born at term. However, it’s not always visible and can disappear on its own after two weeks. The main cause is an immature liver that is unable to process the excess bilirubin properly. It also seems that newborns produce more bilirubin than normal because they’re renewing red blood cells more often. The main sign of jaundice in infants is yellowish skin and the whites of their eyes. This typically becomes more prominent between the second and fourth days after birth. The color change may begin in the face and spread to the abdomen, legs, and soles of the feet. 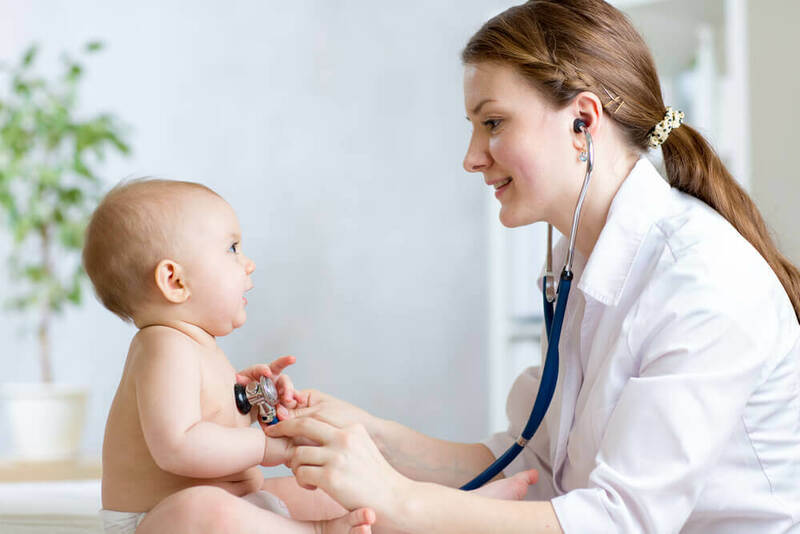 A doctor can diagnose jaundice based on the appearance of the infant. Other tests are required to measure the level of bilirubin in the bloodstream, however. Jaundice in infants typically goes away on its own after two to three weeks without needing further treatment. However, when it’s moderate or severe the newborn may need to be hospitalized for a few days. How it’s treated will depend on the level of bilirubin in the bloodstream, the age of the baby, and whether or not it was premature. An infant will need treatment if the bilirubin levels are very high or are rising rapidly. 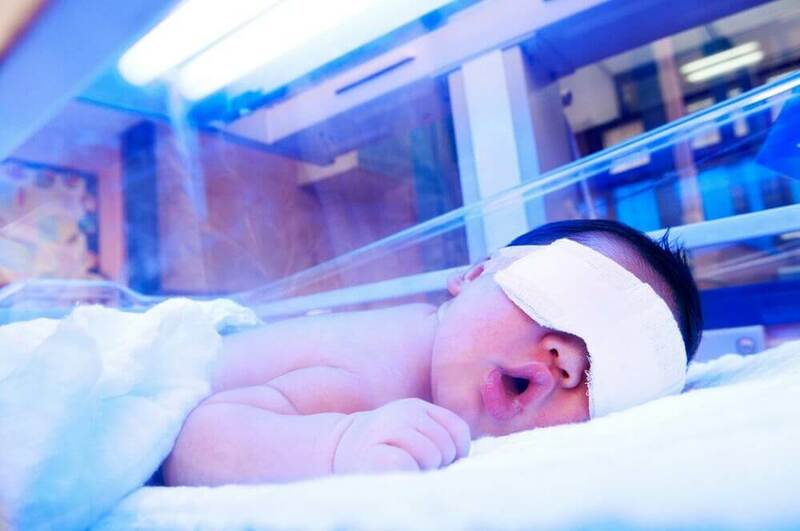 For this treatment, a baby is exposed to a special lamp that emits light in a bluish-green spectrum. This light helps break down the bilirubin molecules so they can be eliminated through the urine. It’s not an ultraviolet light and has a plastic protector that acts as a filter. During this treatment, the infant will wear only diapers and protective eye patches. Some places may also use a mattress that emits this light. When jaundice results due to incompatibilities between the blood types of the mother and child, an intravenous transfusion of immunoglobulin is used. This procedure will decrease jaundice and the necessity for a blood transfusion. In rare cases where there is no response to other treatments, the infant may require a blood transfusion. This involves the repeated removal of small amounts of blood to dilute the bilirubin levels and antibodies inherited from the mother. Then, the blood is transferred back to the baby. 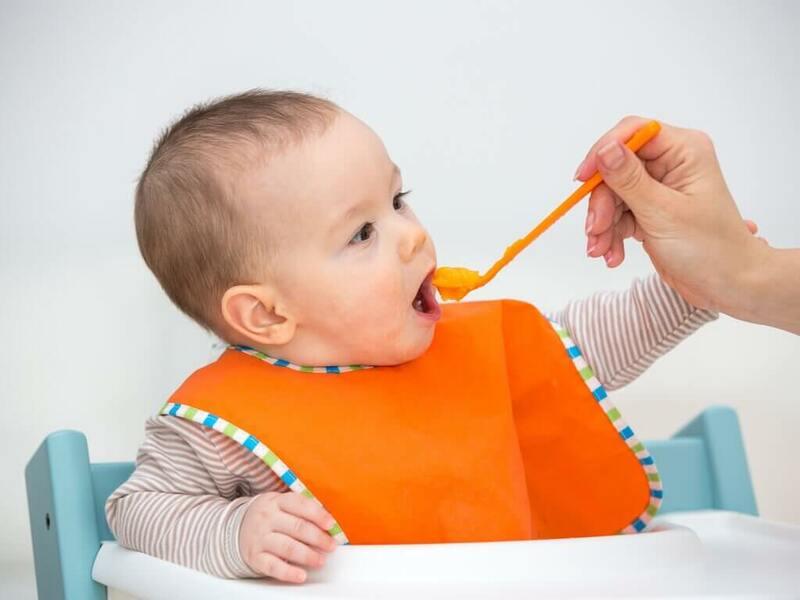 If the jaundice is not serious, a doctor will recommend simple changes in the infant’s eating habits. Some mothers require support if they have problems breastfeeding. Breastfeed more frequently so the baby has more bowel movements. Use complementary dietary sources, such as formula, when there are problems breastfeeding. This may be necessary, especially if the newborn is losing weight or is dehydrated. Try using formula for a couple of days and then resume breastfeeding (only under the recommendation of your doctor). All infants should be evaluated by a professional during their first five days of life to determine if they have jaundice. It’s essential to go to the emergency room if the yellowish color is accompanied by fever, loss of appetite, or apathy. Jaundice is not dangerous in babies who are born at term or who don’t have other diseases. Therefore, if your baby is premature, s/he may require special attention.